Heinz Knoke was one of the outstanding German fighter pilots of World War II and this vivid first-hand record of his experiences has become a classic among aviation memoirs, a best-selling counter-balance to the numerous accounts written by Allied pilots. Knoke joined the Luftwaffe on the outbreak of war, and eventually became commanding officer of a fighter wing. An outstandingly brave and skillful fighter, he logged over two thousand flights, and shot down fifty-two enemy aircraft. He had flown over four hundred operational missions before being crippled by wounds in an astonishing 'last stand' towards the end of the war. He was awarded the Knight's Cross for his achievements. 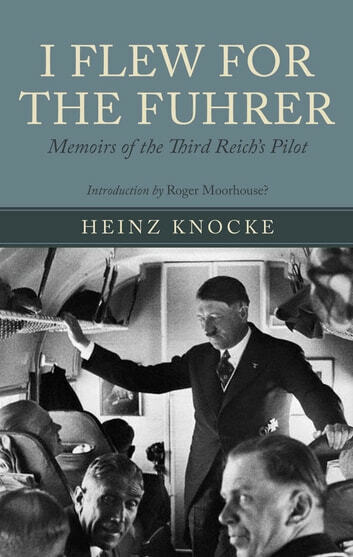 In a text that reveals his intense patriotism and discipline, he describes being brought up in the strict Prussian tradition, the impact of the coming of the Nazi regime, and his own wartime career set against a fascinating study of everyday life in the Luftwaffe, and of the high morale of the force until its disintegration. In a postscript provided for this edition, Heinz Knoke writes of the struggle to survive after the war in Germany, and his building of a new life. Now that the Berlin Wall has been torn down, his memoirs are set in a new perspective, both a valuable contribution to aviation literature and a moving human story.